“Young powers from all of Europe have now joined forces with us,” say the Berlin announcers. By “young powers” is implied — apart from [Horia] Sima and Tsankov — slobbering Petain, the runaway Duce and the Finns of clearly non-Finnish origin. So then let them gather: they will be easier to capture. Known collectively as Kukryniksy, the caricaturists Porfiril Nikitich Krylov, Mikhail Vasil’evich Kuprilanov, and Nikolai Alexandrovich Sokolov, were among TASS’s most prolific artists. The Kukryniksy understood humor’s power to attract public attention and harnessed their artistic abilities to relentlessly mock key officials of the Third Reich. In TASS No. 1079, the artists ascribe Hitler goulish qualities, giving him a sickly green face and red eyes. The artists also belittle Bulgarian fascist leader, Alexander Tsankov, who hunches over pathetically and picks his nose. The leader of the Hitler Youth, Aksman, enthusiastically reported to Hitler that the army has deployed 70% of youth born in 1928. In the summer of 1941, Mikhail Cheremnykh founded the TASS Windows studio that designed thousands of anti-fascist propaganda posters over the course of World War II. Two decades prior, Cheremnykh had founded the ROSTA Windows studio that created hand-stenciled propaganda posters during the Russian Civil War. Among the ROSTA artists were Vladimir Mayakovsky, Sergei Maliutin, and Anton Lavinsky. Both ROSTA and Cheremyukh intensely influenced the TASS studio's aesthetic: as visible in their shared caricatured style, use of stencils, and bright humor. On the road to the front. She is part of the victory. Our troops in the mountains of Transylvania. Their thundering weapon don’t fall silent. Heroes of Russia! Victory is near. The enemy can’t escape retribution! Artist Alexander Prezhitslavskii demonstrates his mastery of pochoir in TASS No. 1077 "In the Mountains of Transylvania." Employing over 20 stencils, Prezhitslavskii painted the sky in a range of tones, and the machine fire in a gradient from orange to yellow. In both color scheme and subject matter, TASS No.1077 recalls the monumentality of a Socialist Realist history painting. Soviet women with honor fulfill their duty to the Motherland, and strengthen the military and economic might of the Soviet government. They were dignified before their fathers and sons, husbands and brothers, defending the native land from the German-Fascist invaders. The barrel is positioned at its highest point. The shining daughter of the homeland. though German human resources have been used up. From the decree of the Higher Commander J. Stalin on February 23rd, 1944. Workers and worker-women, engineers and mechanics of tank factories! Let’s give the Red Army more tanks! Successfully create new types of war machines! The better the tank — the closer is our victory over the enemy! (From the speech by the Orgburo and 27th annual Great October Socialist Revolution). Workers and worker-women, engineers and technicians of industry! Remember that machine tools are the most important base of technical armament for our country. We must ceaselessly improve the output of our machines! Help to quickly support the renewal and construction of industry! What is this holiday tree? ROSTA Windows studio, under the auspices of the Russian Telegraph Agency (ROSTA), created hundreds of pro-Bolshevik propaganda posters during the Russian Civil War (1917-1922). Artists stenciled the illustrations and accompanying verse by hand in an assembly-line style. 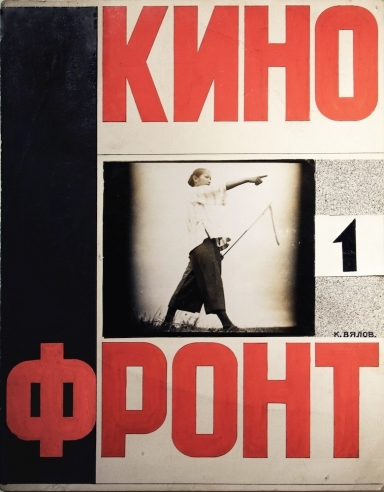 The iconic Soviet poet, Vladimir Mayakovsky, wrote most of the verse for the posters. Nailya Alexander Gallery is pleased to present TASS Windows: World War II and the Art of Agitation, an exhibition of rarely exhibited World War II Soviet propaganda posters by the TASS Windows Studio (1941-1945). The exhibition is on view from February 6th to March 2nd. Stenciled by hand and one-of-a-kind, these posters are vital to the history of Soviet graphic design and are as much works of art as historical objects. While widely distributed during the war in the Soviet Union, Britain and the United States, few TASS posters survive to current day. The TASS Windows studio formed as an immediate reaction to Hitler’s forces invading the Soviet Union during World War II. Sponsored by the Russian Telegraph Agency (TASS), a team of artists, poets and illustrators – among them Mikhail Cheremnukh, Kukriniksy, and Pavel Sokolov-Skalia – created thousands of propaganda posters aimed at boosting the war morale on the home front. A profoundly ambitious project, the artists draped their posters in the windows of retail stores, private homes, train stations, even projecting them onto the walls of factories or hospitals. These exceptional artists worked in an assembly line style, stenciling each of their posters by hand. Stenciling, then more commonly known by its French name, pochoir, was the preferred medium for fine-art posters in Europe by the turn of the 20th century. The TASS studio renewed the pochoir tradition, designing posters that were both works of fine-art, and agitational propaganda for the Soviet masses. By the height of the war, the artists stenciled with as many as 60 colors, skillfully emulating the oil painter’s treatment of color and space. Technical skill and biting humor coalesce in TASS #1085 “New German Division — Two Inches from the Potty.” Designed in a lively graphic style, the poster mercilessly berates the new generation of German forces who march with chamber pots in their hands and pacifiers in their mouths. Cheremnykh used up to a dozen colors, and created individual stencils to produce the white glare on the chamberpots, and the delicate outlines around the young soldiers’ uniforms. Also on exhibition are two ROSTA studio posters designed by Vladimir Mayakovsky and Anton Lavinsky. A decisive influence on the TASS studio, the ROSTA Windows studio (1919-1921) hand-stenciled posters in support of the Bolsheviks during the Russian Civil War. Distinguished by their bright colors and decorative quality, these posters expressed disgust for the gluttonous Capitalist, celebrated the magnanimous industrial worker, and rallied support for Communism. Like the ROSTA studio, TASS artists envisioned their massively-scaled posters for a wide and often illiterate audience, and employed stencils as the most dynamic artistic medium available. For more information about the exhibition, please contact the gallery. Gallery hours are Tuesday through Saturday, 11 am to 6 pm and by appointment.